A Shrewsbury solicitor has been appointed to head up the Law Society in the county. 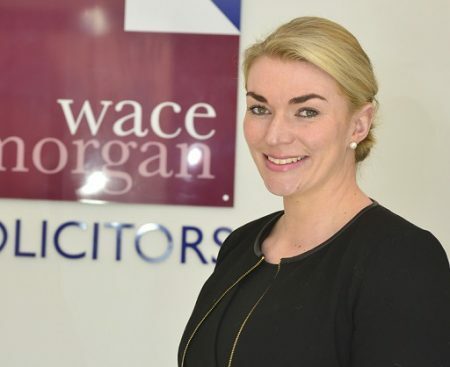 Lizzie Hughes, of Wace Morgan Solicitors, is the new president of the Shropshire Law Society, which represents the interests of all the Solicitors in the Shropshire region. “I am very pleased to be stepping up to the position of president of the Shropshire Law Society,” said Lizzie, who specialises in family law. “We have a number of events planned throughout the year which we hope will be enjoyable and beneficial for our members, including training sessions covering public and private family law. “The society has chosen to support a national and local charity in 2018 – Dementia UK and Severn Hospice – and we will be fund raising for them throughout the year with a range of activities,” she said. Lizzie specialises in cases involving children, including intervention by social services, adoption and custody disputes. She appears regularly on the West Midland, Shropshire and mid Wales court circuit before all levels of judges from magistrates to circuit judges. An expert equestrian in her spare time, Lizzie represented England in dressage two years ago and has now qualified for the Summer Regional Championships, the Petplan area festivals and is aiming for selection for the Home International competition this year.